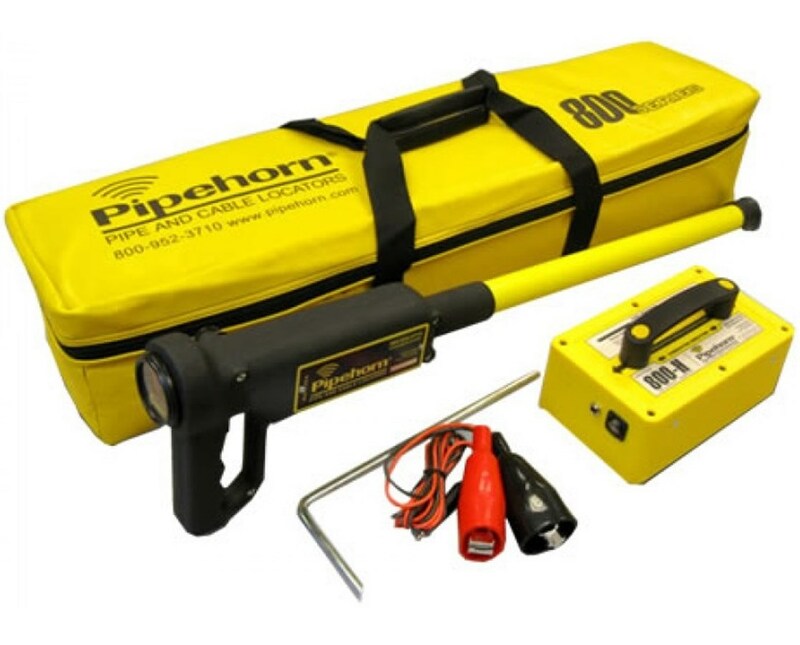 The Pipehorn 800 Series Pipe and Cable Locator is an effective solution for identifying pipes, cables, drains and other utility services buried underground. Featuring two operating modes, the 800 Series has an inductive mode that that induces a high-frequency signal to locate an underground utility. The conductive mode transmits the signal to the transmitter directly connected to the cable with a signal clamp. 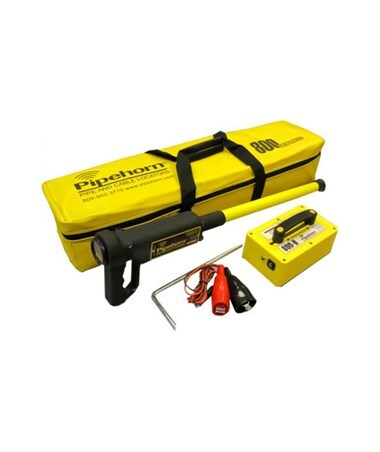 This Pipehorn utility locator comes with an audio and visual confirmation that alerts the construction professional when a strong signal is detected. It also has an accessible knob on the side of this pipe and cable locator allows to adjust the sensitivity. This underground service detector features an auto shut-off function that turns the device off after five minutes of inactivity. With an IP67 protection rating, this pipe and cable locator is dustproof and water resistant. It includes an all-weather, cast aluminum housing that is durable and long-lasting. For accuracy, it comes with a watertight reinforced wand. Also, it uses nine-volt alkaline batteries that power the device up to 45 hours. In addition, utility detection can be done under any weather with an operating temperature of -4°F to 150°F. The Pipehorn 800 Series Pipe and Cable Locator offers two frequency types that suit your underground service location needs. Please select from the drop-down menu above.